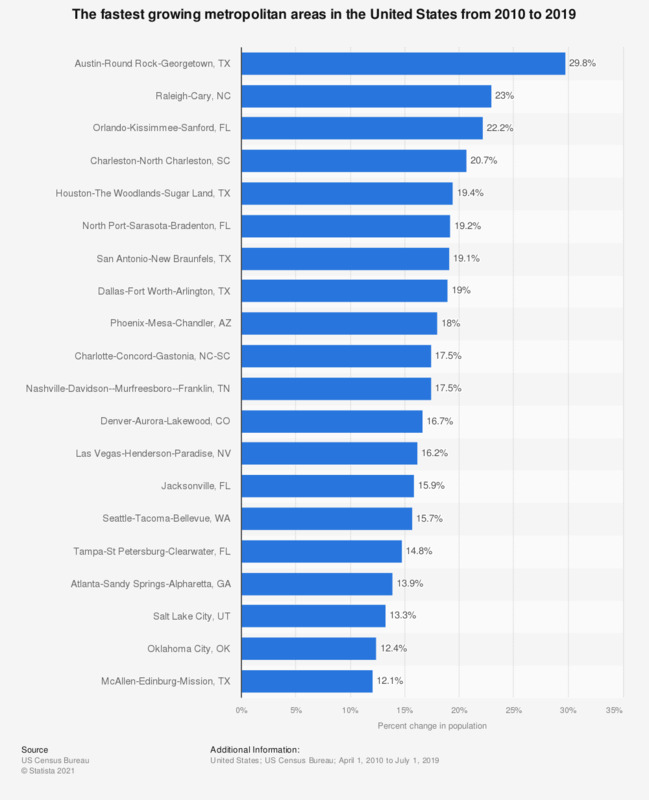 This statistics shows the top 20 fastest growing large-metropolitan areas in the United States between 2010 and 2017. The total population in the Austin-Round Rock, Texas metropolitan area increased by 23.28 percent from 2010 to 2017. List depicted here considered only the largest 75 metropolitan areas by population.